Sustainable Amsterdam is a boutique consultancy focused on sharing and leveraging Amsterdam-based projects and approaches to help international professionals tackle urgent and complex urban challenges. We are a small team with a strong network, capable of connecting you to the most innovative policies, projects and people in Amsterdam. 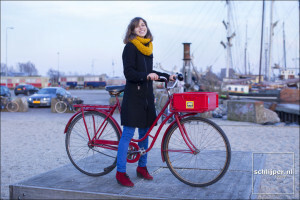 Cornelia is the founder of Sustainable Amsterdam. After starting her career as an engineer in Canada’s oil and gas industry, Cornelia moved to Freiburg, Germany to carry out an internship with Oeko Institute, a renewable energy think tank. Later she moved to Amsterdam where she worked with Climate Focus, a climate change consultancy. Over the past five years, Cornelia has worked on climate change, waste management, and urbanism projects in Vancouver and Amsterdam. Today Cornelia’s work with Sustainable Amsterdam focuses on knowledge transfer and capacity building for international delegations interested in best practices for sustainable and smart urban development. You can connect with Cornelia by email at cornelia@sustainableamsterdam.com or through LinkedIn. Shoshannah believes sustainability is exciting, and as a freelance journalist she likes to spotlight businesses and initiatives that make Amsterdam sustainable. She studied Biology at the University of California then received an MBA from the University of Southern California. Her work experience includes ecosystem restoration and roles in corporate marketing and communication. Shoshannah also runs Awesome Amsterdam and is a connoisseur of fun, healthy and sustainable urban living and lifestyles. If you have a sustainability story you think we should feature, or would like to collaborate with us, email shoshannah@sustainableamsterdam.com. Evert is a senior consultant at Creative Cities with over thirty years experience working for the City of Amsterdam. Evert is best known for overseeing the successful transformation of Westergasfabriek from an polluted postindustrial site into one of Amsterdam’s most important cultural parks. Evert now works on complex regeneration projects in the Netherlands and internationally. As senior adviser, Evert is involved in Sustainable Amsterdam study programs and consultancy work for governmental delegations interested in urban transformation and development of the creative economy.